Are you ready to make changes in your life—but feel something is holding you back? Is your soul asking you to take a leap—but you’re too afraid to take it? Are you ready for something new—but aren’t sure where to start? If this sounds like you, the book you hold in your hands will give you the courage and faith you need to jump across the threshold from where you are—to where you want to be. Jump . . . and Your Life Will Appear is a step-by-step guide to clearing the path ahead so you can let go and make the change you need the most. 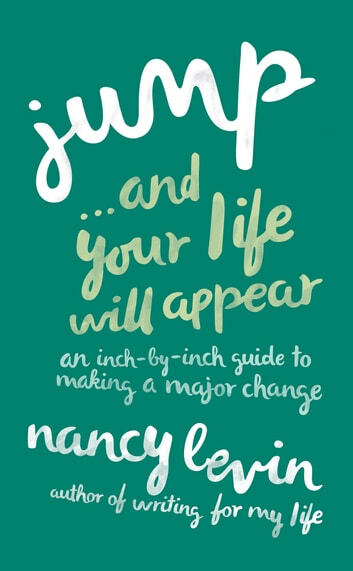 With a series of effective exercises, coach and author Nancy Levin will walk you through your fear, usher you up to the moment of jumping, and help you navigate what awaits on the other side. Whether you want to switch careers, move to a different part of the world, set boundaries with someone in your life, or increase your capacity for self-love, Jump . . . and Your Life Will Appear will support you on a practical path from start to finish. I love this book. I never finished a book in 5 days before because o couldn't put it down. Nancy has a great way of sharing her personal experience and is very inspiring. I love this book and i can say i will be reading it again.